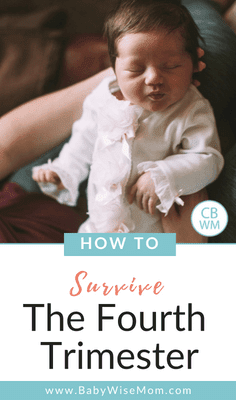 How to Survive the Fourth Trimester. 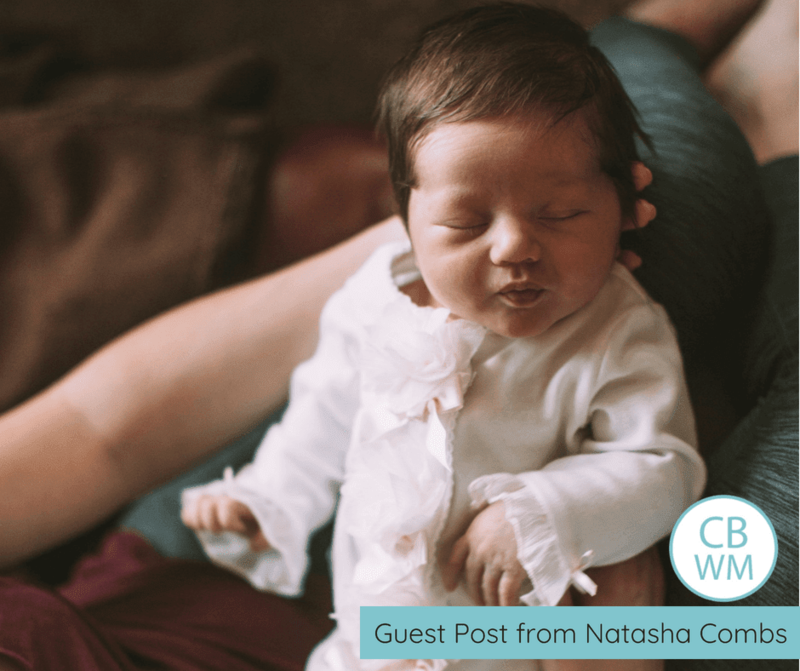 How to make it through those newborn months and thrive as a mom, recover from birth, and enjoy your new baby. The fourth trimester refers to the first 3 months postpartum. During this time, baby is adjusting to life outside the womb, and mom, dad, and big siblings are adjusting to baby being added to the family. And newborns grow and change so much during this time! They are ever changing, which means mom and dad are kept on their toes. Following my fourth trimester rules will help you cope with all the change! Stay home as much as possible. In some countries they call this “lying in.” If you must go out, or just want to, take it easy. Stroll through Target or sit at Starbucks. This is not the time to be attending concerts and volunteering at events. The fourth trimester is all about getting acquainted with this new little life and getting adjusted to a new normal. Baby spent 9 months inside your womb, so it’s understandable that it might take some time to adjust to the outside world. Keep baby close by breastfeeding or snuggling while bottle feeding, babywearing, sleeping near or with baby, take time to just hold and snuggle baby, and spend time skin to skin with baby (dads too!). We’re big fans of sleep training over here. We believe people need sleep to function well. Mamas need sleep to be the best mamas they can be, and sleep is a biological need, not just for babies but parents as well. Sleep when baby sleeps, rest when you can, and start sleep training when you feel comfortable. I like to start babywise at birth. Although I do start slow and am pretty relaxed with the principles, I still like to start as soon as I can. (No, I don’t let my tiny baby cry it out. Yes, I feed baby when baby is hungry. Surprise! I even let baby sleep IN MY BED sometimes!). Your priority for the first several weeks, if not months, should be to just take care of yourself and baby (see rule number 2). If that means the dishes pile up in the sink a bit and the laundry doesn’t get done as regularly as usual, it’s ok. It really is! This is just a season and it won’t last forever. Preparing meals ahead of time will be a huge benefit to you during the fourth trimester! Before baby comes put some time in preparing freezer meals, like soups and chilis that can easily be defrosted and crockpot meals that can be dumped into the crockpot. That way, once the meal train ends and friends stop delivering food and your mom/mother-in-law is gone, you’ll be able to easily feed your family yummy meals without much effort. If you can afford a babysitter or preschool a few times a week, definitely do it! Even if it’s just so you can spend a few extra hours in the morning napping with your baby. It will be so worth the money. If you don’t have money to spend on help, ask friends and family if they’d be willing to help you. Maybe they’d like to take a kid and have a play date once a week. Or maybe you have a neighbor willing to help with school pickup/drop off. Accept help wherever you can! Focus on healing during this time. Ways to help yourself heal include getting rest when you can, eating well, drinking lots of water, wear comfy clothes all day, and have a support system in place. These early days will fly by so be sure to enjoy them! Natasha is a work-at-home lawyer and mama to 4 kids acquired through adoption and IVF – Laurel (7), Bennett (6), Christopher (3), and Everly (1), with twins on the way. She blogs at Let’s Be Brave.